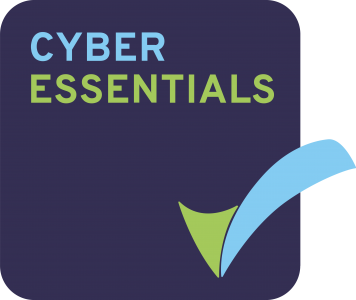 Hampshire Flag Company Achieve Cyber Essentials Certification! This certificate confirms that Hampshire Flag Company was assessed against the Cyber Essentials Requirements dated June 2014, and at the time of testing, Hampshire Flag Company’s ICT defences were assessed to meet the requirements. Cyber Essentials certification indicates that the organisation has implemented a sensible baseline of organisational cyber security. With the growing popularity of businesses improving their cyber security, we take a look at why it is becoming so important for businesses to gain Cyber Essentials. In 2013, the UK government began to encourage organisations to consider if they were managing their cyber risks effectively. They did this through a number of initiatives which began to gain traction. However vulnerabilities were still being identified through organisations not applying a number of security controls. The government decided that the best approach to take would be to introduce an organisational standard for cyber security, allowing businesses to have greater confidence in their ability to reduce the risk posed by cyber-attacks. From this, the Cyber Essentials scheme was formalised. Who are CREST & IT Governance? CREST is an international not-for-profit accreditation and certification body that represents and supports the technical information security market. IT Governance are a CREST-accredited certification body. By choosing a CREST-accredited certification body such as IT Governance, we benefit from an additional level of independent verification of our cyber security status, provided by an external vulnerability scan. Although non-CREST-accredited certification options exist, none offer the same level of independent verification and stakeholder assurance that the CREST-accredited option does. Cyber Essentials is a mandatory requirement to work with the UK Government. We are committed to security, in particular cyber security and we take it very seriously. We protect our organisation and commercially sensitive data. This entry was posted in Hampshire Flag Company General by admin. Bookmark the permalink.